Agile Infoways has developed emergency software or app which is used by different institutes for avoiding sudden and unexpected threats, deaths and severe incidents. We are a team of experienced and knowledgeable developers who are highly practiced to work on software and app development. We understand client requirements and work as per their need to satisfy them completely. Agile Infoways is a leading Web and Mobile App Development Company in India. Having 11+ years of professionalism in the IT Fraternity, we are doing a great job by delivering the best-in-class software and apps as per clients’ business requirements. If you are looking to build an app or software just like Emergency Software/App, Agile Infoways is the best choice. Manage your organization in your own way by using this module. System Management of this application is able to manage different institutes. This module gives you a platform to handle your institute by adding the details of your institute from the backend. From this section, the whole geofencing is managed by the responsible person of the institute. All the features of the mobile app are maintained under this section and can be accessed easily. Manage the whole look and feel of your institute for the application like the Graphical User Interface. Set the numeric sequences for the reporting functions and create the incident report form dispositions. Emergency team will help you in case of an emergency arise at any location within that institute area. Users have panic button facility in case of emergency. The system provides an automated alert system with SMS and phone calls in case of the Panic button pressed. All emergency teams are available to help you 24 hour and get alert using this System. Notification is sending via SMS, emails phone calls, phone notification and social Medias. Create and edit Geo-Fences and mass notification Alert Zones. This module helps to create and edit Geo-Fences for that particular institute for sending mass notification to the emergency team when any emergency arise. Set different incident types just like any medical emergency, fire, accident or any other such incident. Assign the incident types in a set of priority level to get the right service on-time for the particular incident. In this section, safety check intervals are set to get the right service as per the incident in the institute. The emergency software provides safe and secure options for the person of the organization who faces any accidents or emergency. The location of the person is stored in the database periodically and that information is highly secured. When a person starts traveling from one location to other, the person will select the location and expected time to reach there and start the tracking functionality. If the time exceeds the selected time, one text message and one email will be sent to the emergency contact given by the person at the time of registration. DoStuff is the best way to find out what’s happening in your city. Discover popular local events, get event recommendations just for you, and see which events your friends are going to! Will this software work for the assigned geo-fencing area? Yes, the software will work in the defined geo-fencing area of the institute. Does this software provide notification alerts from the emergency accidents? Yes, this software notifies the nearby area using the geo-location with the help of notification alert. Does the emergency software provide mobile support? Yes, this emergency software is available for mobile users also. Does this software support any priority level for notifying the emergency alert?How to Manage Ticket Orders? 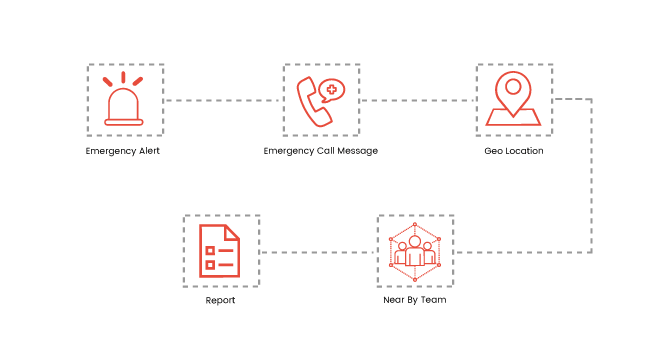 Yes, the software offers a feature called as incident types in which incidents will be set priority wise to get right service in right time for the emergency incident.